The purpose of this document is to provide the typical weight of a pitched roof solar system. For this example I’ll use the above image to represent the typical layout of the solar array. 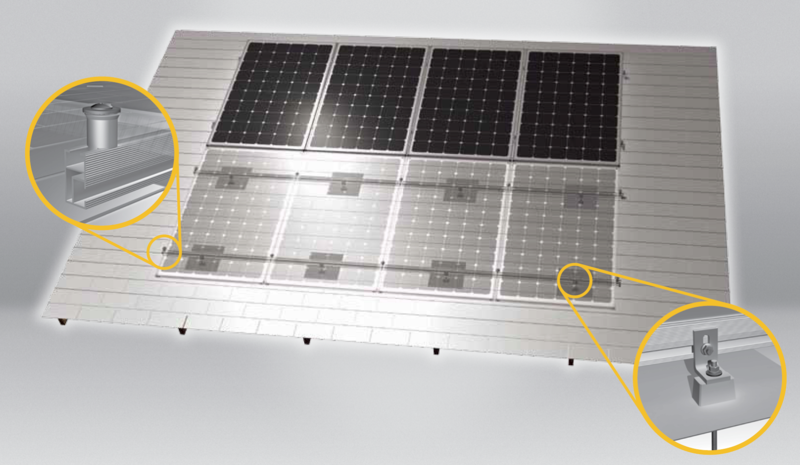 The typical 60 cell solar module is 39.1” by 65.94”. Compared to shingles, solar modules are light. The typical 3 tab or laminated shingle will weight 200 lb (thin 3-tab shingle) to 480 lb (30 year architectural shingles) per roof square (100 sq ft) that works out to be 2 to 4.8 PSF. Since the 70’s residential roofs have been designed to hold two layers of shingles so if a house has just one layer of shingles it should be able to easily support solar modules.